In January of 2016, the Tulalip Resort and Casino (TRC) began renovations to the guest rooms of the luxurious twelve-story resort. “We wanted to build upon [the rooms] that were designed nine years ago and elevate it to the next level,” states the Resort General Manager, Sam Askew. The year-long project results are spectacular. Each room was designed to stay true to Tulalip’s luxurious Four Diamond brand, adding modern features such as LED bedside reading lamps, 55” smart TV’s, refrigerators, and a fog-free Bluetooth smart mirror to each guest room. Perhaps the most incredible update Askew’s team commissioned is the carpeting throughout the resort. As soon as a guest reaches their floor, they are met with beautiful carpeting with vibrant colors and graphics throughout the corridors. 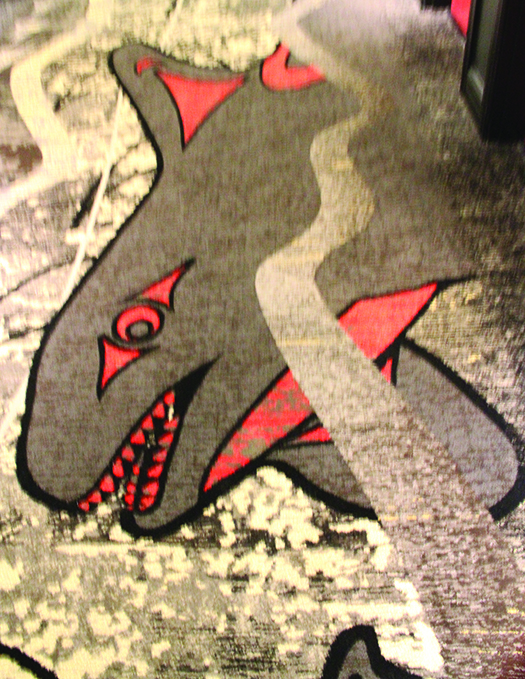 Durkan, the company who designed the carpeting, used new technology to create the first-of-its-kind product exclusively for Tulalip. 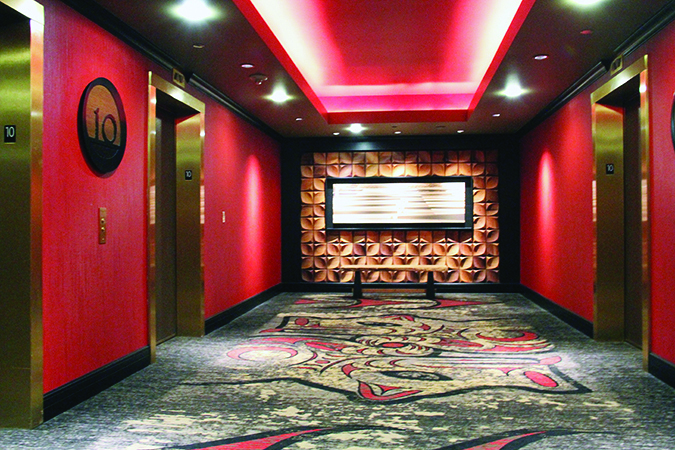 The corridors of each floor differ from one another and incorporate Native American artwork. 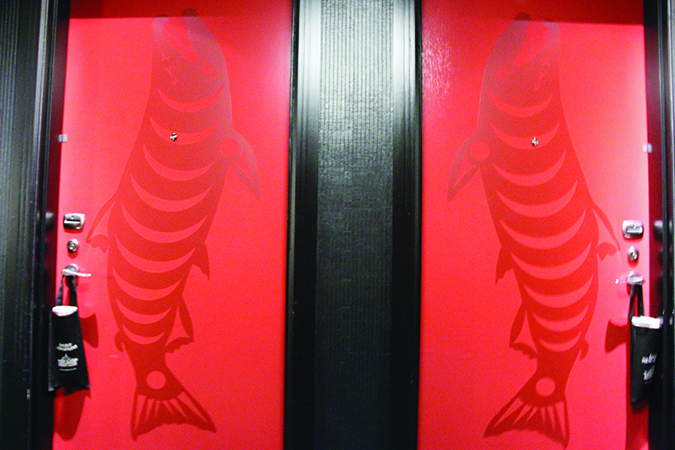 On the twelfth floor, orcas and salmon appear to be swimming along the sides of the hallway. Another major update TRC has made is the conversion of a Specialty Suite. Specialty Suites are uniquely themed, such as the Player’s Suite, offering a bachelor-esque vibe with a pool table and sports memorabilia. Other specialty suites offered are the Tulalip Suite and the Grand Asian Suite. The newly renovated Cascade Suite, previously the Tech Suite, is inspired by the Cascade Mountain Range and is easily the new fan favorite. 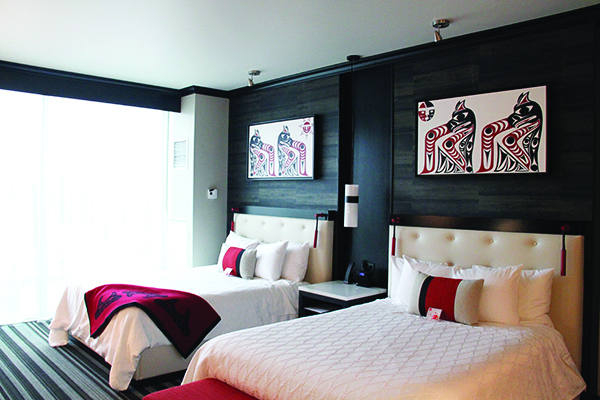 Furnishings from the previous rooms were donated to the Tulalip Tribes and were dispersed to the community. However, the furnishings from the Tech Suite were donated to the Tulalip Boys and Girls Club, including a variety of video game systems and games. The resort highlights tribal artwork beautifully, intertwining extravagance with Native American culture, which Tulalip is famous for. 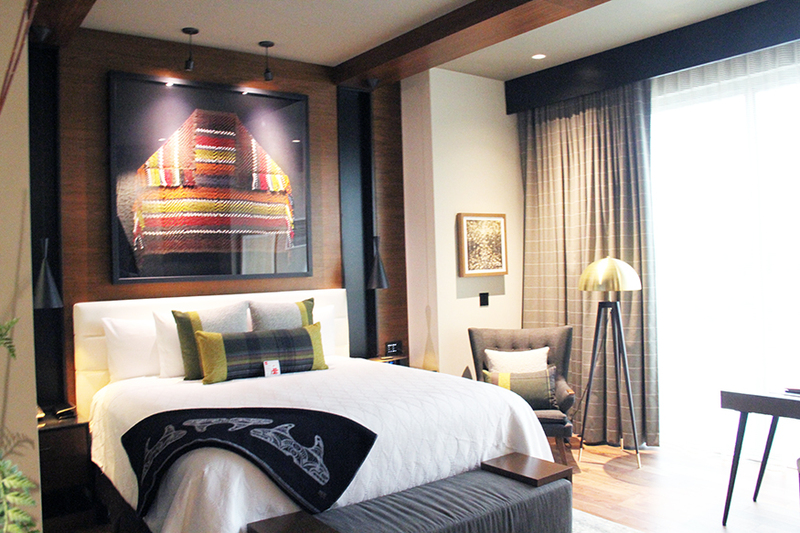 Canvas oil paintings, with traditional tribal designs, hang on each wall of every guest room. Upon entry guests are immediately welcomed with information about Tulalip’s history, a cedar rose, and information about the Hibulb Cultural Center. “We want our guests to walk into a new room and feel a sense of belonging and experience the Tulalip culture, the raised hands welcome,” says Askew. This entry was posted in Local News, News, Tulalip News and tagged Tulalip Resort Casino, Tulalip Tribes by Kim Kalliber. Bookmark the permalink.